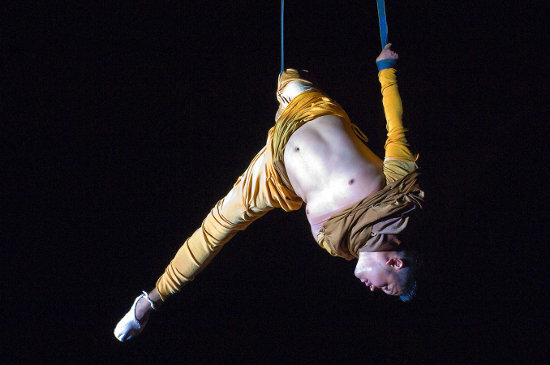 Diverse City and Cirque Bijou are collaborating on the creation of an exciting new inclusive performance that combines circus, dance and theatre. The two companies will bring together eight artists and athletes (former paralympians) to create an entirely new piece. The cast will be well known paralympian athletes, leading disabled artists and circus artists (both disabled and non disabled). The show's R&D has been funded by ACE and will take place at Circus Space in May and June 2013. The show will explore the 'intersectionality' of diversity. Most people are not diverse in only one way. Disability may not be a significant part of some people's identity – their gender, sexuality or ethnicity may be more prominent in their sense of self. Disability is an interesting diverse identity to explore as we will all come to occupy it through age or illness. The show will be fun, extreme, rock and roll and visually spectacular with images that burn themselves on the inside of your eyelids. The audience will be amazed, confused and inspired. The piece will encourage them to reflect on their own experience of living in their extraordinary body – to contemplate afresh ageing, giving birth, accident, illness, disability, sensuality and sexuality. The set will be minimal. The company will use projections and new pieces of circus equipment developed specifically for this show. Rigging points and floor points would be ideal.